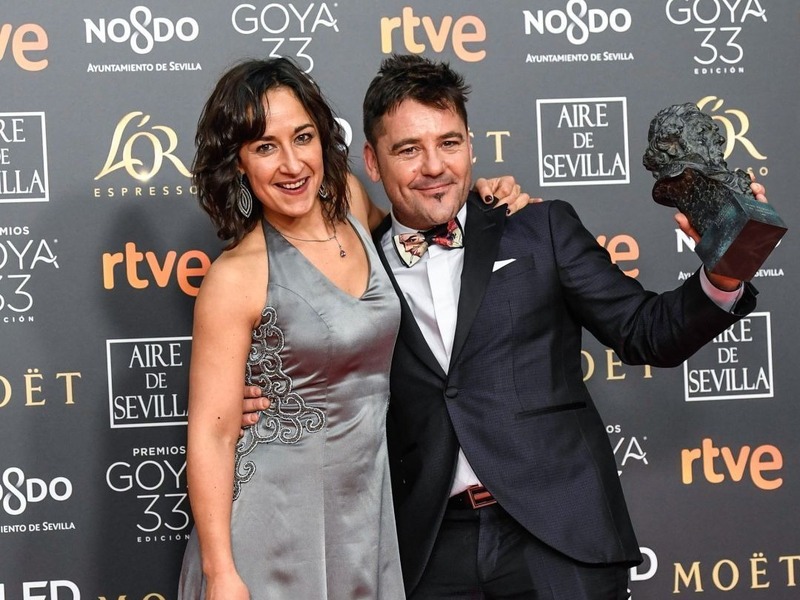 The 2019 Goya Awards ceremony took place this past Saturday, February 3rd, at FIBES, the Conference and Exhibition Centre in Sevilla. Campeones (Champions) end El Reino (The Kingdom) emerged as the night’s big winners, with Campeones taking the award for Best Film and, El Reino coming away with the most awards across categories. Although Basque cinema didn’t receive as much fanfare as last year, we did have some winners. Carmen y Lola, a film about young love between two gipsy girls, clinched the Best New Director award for Arantxa Echevarria. Although Echevarria has been working in cinema since she was 18, this was the Bilbao director’s first feature film. Carmen y Lola received eight nominations and went home with two wins. In addition to Best New Director, the award for Best Supporting Actress went to Carolina Yuste (who, curiosly, was the only professional actor in the cast). As for the Another Day of Life, the predictions were on target: it won the Award for Best Animation Film. Director Raul de la Fuente and producer Amaia Remirez received the award with great emotion. Another Day of Life tells the story of Polish journalist Ryszard Kapuschinski in the Angolan war of 1975. The last award-winning film involving Basque professionals was La Sombra de la Ley. Set in 1920s Spain, the film revolves around the struggle between anarchists and gangsters. Josu Inchaustegui and Clara Bilbao won the awards for Best Cinematography and Best Costume Design, respectively, for their excellent work in recreating a specific period in time.